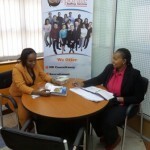 Country Director Jobs, Director Jobs, Jobs In Nairobi. Strong ability to engage externally with donors, partners, and other stakeholders. Evidence of building coalitions and engaging externally to influence policy and strategic directions. N.B: We do not charge any fee for receiving your CV or for interviewing. Only applicants meeting the strict criteria outlined above will be contacted as part of the short listing process.